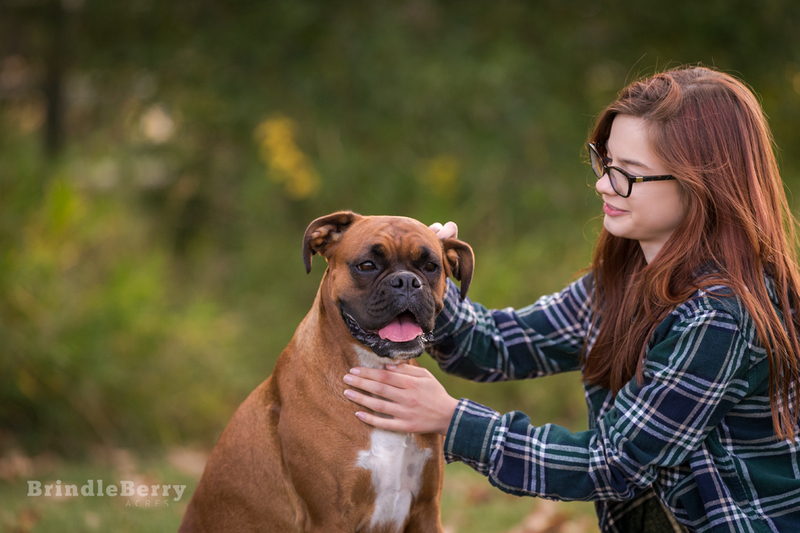 Sometimes we spend so much time researching what goes INTO our pets’ bodies, that we forget that what we put ONTO our pets’ bodies is just as important. It can be really hard to find products that you can trust to use on your pets, and even harder to figure out which ones contain ingredients that are going to help, instead of hurt, them. I was provided a bottle of EARoma theEARapy in exchange for my honest review. The opinions expressed here are entirely my own, and I would NEVER give my dogs anything to eat, or put anything in or on their bodies that I didn’t honestly think was ok. Remember, I made a promise to all the doggies out there, and I take it pretty darn seriously! 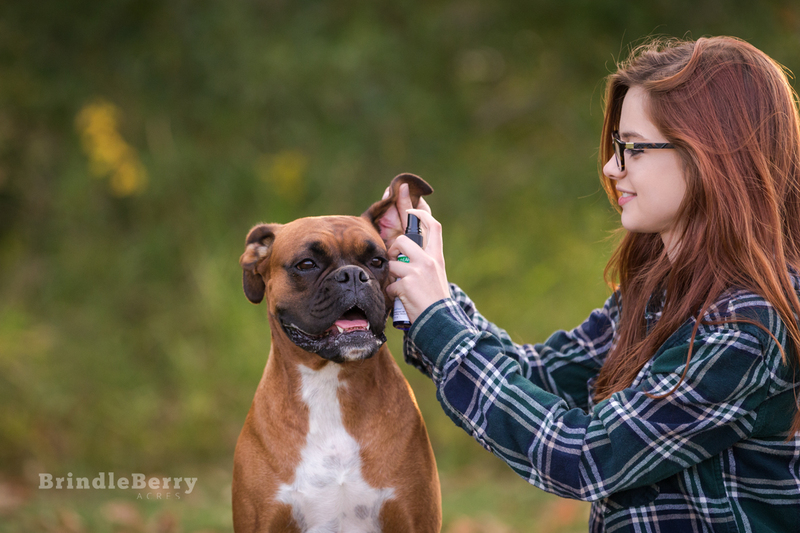 Introducing EARoma thEARapy Sprayable Ear Wash! EARoma thEARapy is the first sprayable ear wash that makes it possible to clean the ears without flooding the ear canals with an excessive amount of ear cleaning solution. 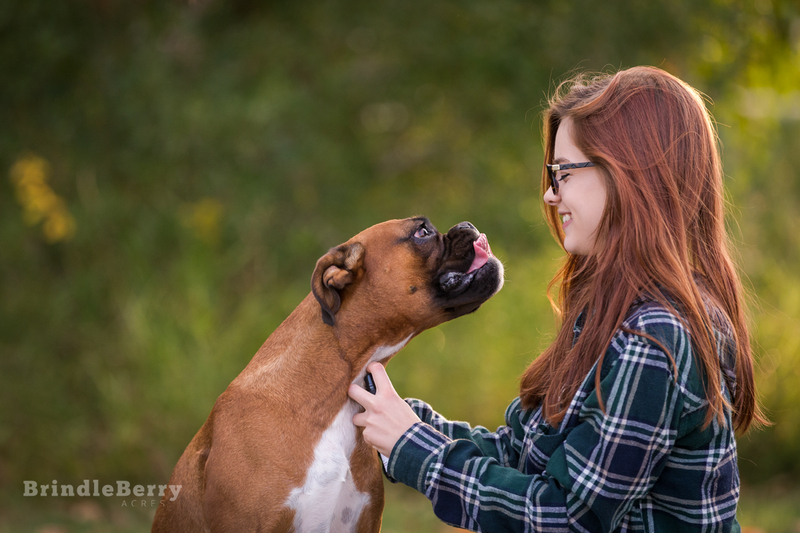 They’ve taken a super messy job (cleaning ears) and made it easier on both you, and your best friend. 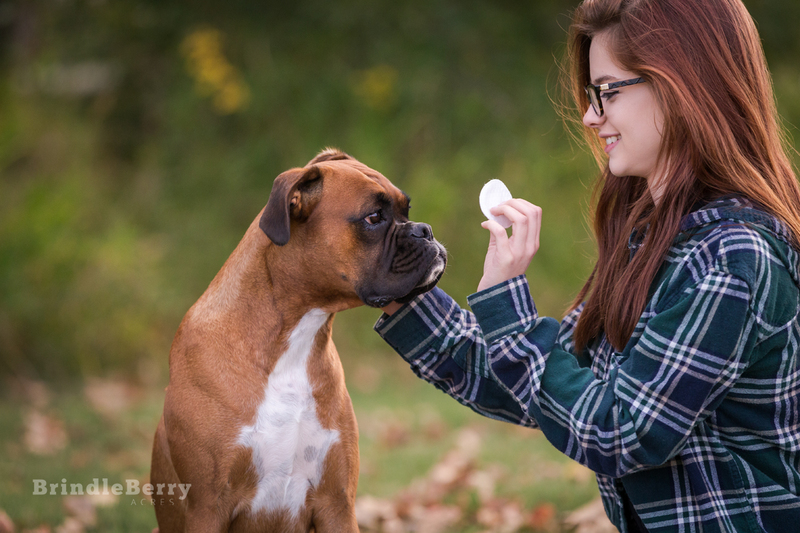 Natural Paws® has given BrindleBerry Acres readers a very generous coupon code to purchase EARoma theEARapy Sprayable Ear Wash, so be sure to read all the way to the bottom of the review to get it! 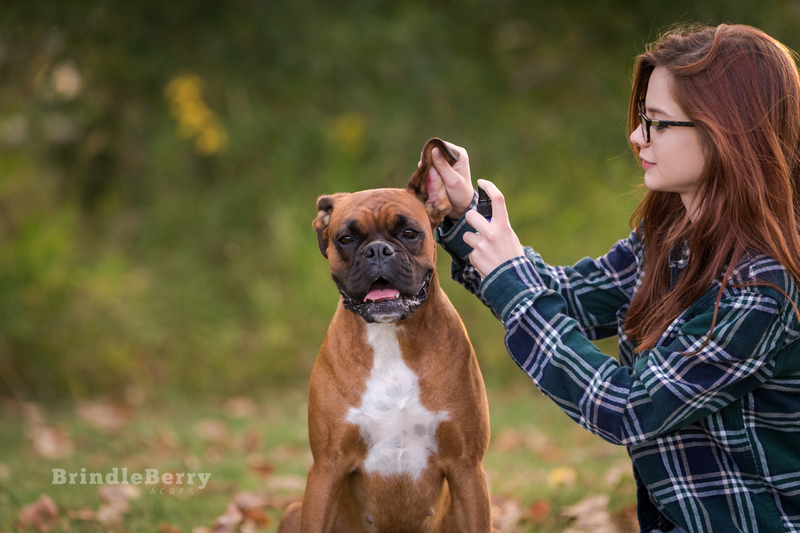 Ear cleansing should be a regular part of your dog’s grooming routine along with brushing their teeth and trimming their nails. Regular cleaning with EARoma thEARapy can help prevent bacterial, viral, fungal and microbial infections by disinfecting the ears and keeping them smelling fresh. 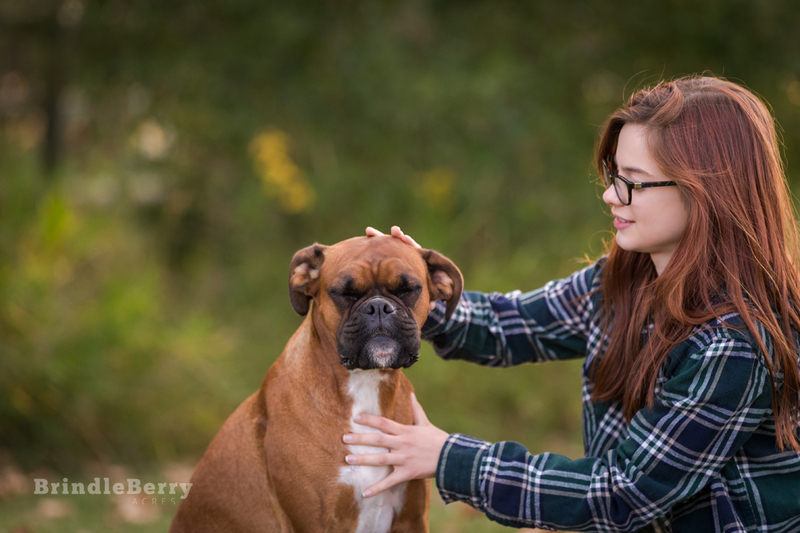 If your dog suffers from itchy ears, cleansing the ears with the EARoma thEARapy solution can help soothe the itch, and bring them some relief. The unique spray application allows you to do that without using a ton of product. These ingredients were chosen for their cleaning, soothing, and disinfecting properties. Did I mention EARoma thEARapy smells amazing thanks to the lemongrass and eucalyptus, and the Witch Hazel allows it to quickly dissolve without drying the skin. Using the EARoma theEARapy product is super easy. I added one step (step #4) to their already quick and easy process. Leave the plastic cap on the bottle and shake well to disperse the product. Hold the ear up/open with one hand, and with the other hold the bottle 2-4 inches away from the ear. Spray 1-4 pumps of solution into the ear. If your dog is startled or nervous about having their ears cleaned, be sure to give them treats as a reward after spraying the bottle. I find it handy to have a second person give the reward right when I spray into the ear to help your dog create a positive association with having their ears cleaned. 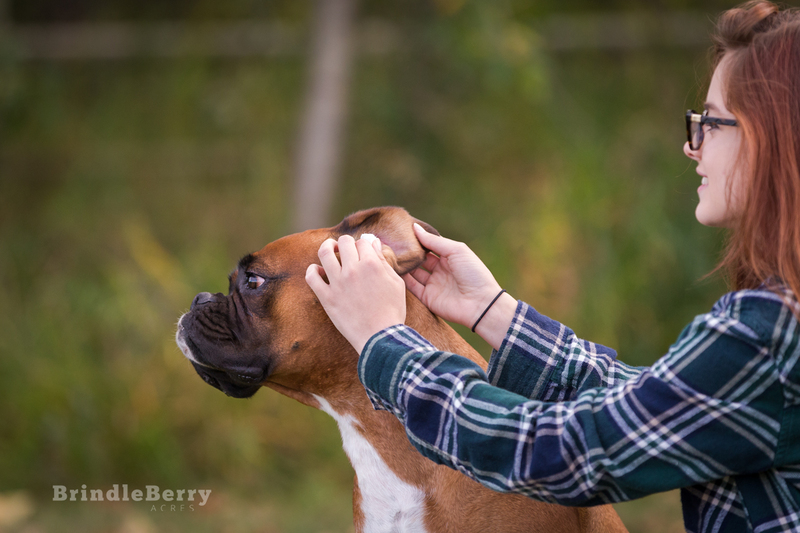 Close the ear flap and massage the base of the ear gently to loosen dirt and debris. Allow your dog to shake out any access solution. I spray a little on a makeup pad before wiping out the ears and give the inside of the whole ear flap a good wipe before removing the goobers at the base of the ear. Gently remove excess debris with a cotton ball or makeup pad. 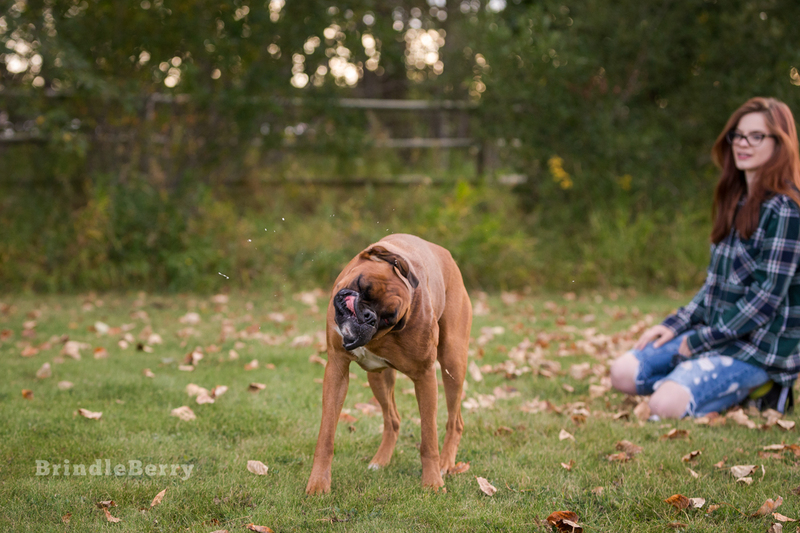 Over the years I have tried A LOT of ear washes with my dogs. Most of them require that I use a hard to handle dropper or squirt bottle, and they often leave liquid sitting in the ear canal to irritate my dogs. EARoma thEARapy evaporates quickly without drying the ears, and leaves the ears clean and smelling amazing! This will be THE ear wash I use on the BrindleBerry Bunch, and therefor I give EARoma thEARapy sprayable ear wash a perfect score! You can purchase EARoma theEARapy sprayable ear wash on their website: www.naturalpaws.net, or at your local, independent pet retailer. Use coupon code, BRINDLEBERRY to save 20% off of your purchase! Brands – please contact for purchase/usage of photography or copy.